With natural ingredients. Aloe, camelina, green tea. Cruelty-free international. Good shopping guide ethical company. Vegetarian Society approved.All our products are purpose built for men and enriched with amazing natural ingredients. 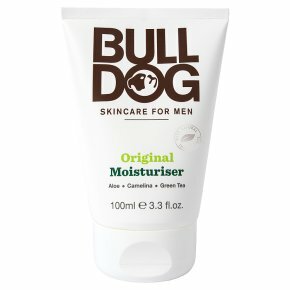 This moisturiser contains aloe vera, camelina oil and green tea. Specially formulated to hydrate the skin without leaving skin greasy or sticky. Directions: Use morning and night. Apply evenly to face and neck after cleansing.